All rights reserved. 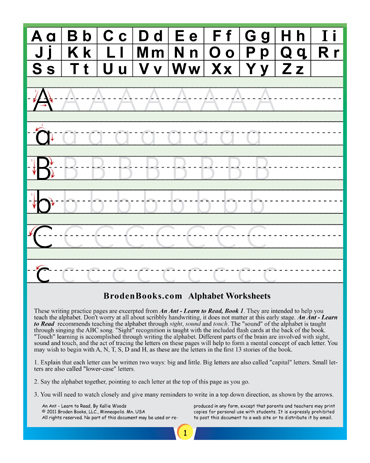 No part of the Alphabet Worksheets may be used or reproduced in any form, exept that parents and teachers may print copies for personal use with students. It is expressly prohibited to post the Worksheets to a web site or to distribute by email.